Take some calculated risks at Mohegan Sun. The pre-wedding girls’ night out has received an upgrade in recent years. Gone are the simple days of having cocktails at a local bar and gabbing about the big day. Instead of a night on the town, more women are looking to get out of town. To celebrate the “final fling before the ring’’ in New England, here are five bachelorette getaways sure to send the bride off in style. The ultimate pre-wedding celebration spot is, of course, Las Vegas. But if a trip to Nevada isn’t in the cards, try Connecticut. At Mohegan Sun (1 Mohegan Sun Blvd., Uncasville, 888-226-7711) relax at the Elemis Spa with a massage, a soak in the Jacuzzi, or any number of skin treatments. At night, sip a Guinness at The Dubliner, get the VIP treatment at Ultra 88 Night Club, or take a spin on the dance floor at the retro Lucky’s Lounge. 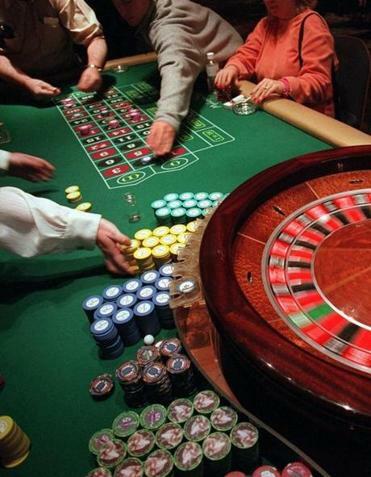 For a slightly bigger casino experience, there is Foxwoods (350 Trolley Line Blvd., Mashantucket, 860-312-3000), where entertainment options range from stand-up comedy at the club Comix to a luxurious bowling experience at High Rollers and wholesome fun at the Tree House Arcade. After dark, there are a host of clubs and bars to choose from. Take to the pulsing dance floor at Shrine to keep the party atmosphere going or relax in the jazzy elegance of the Paragon Lounge. Dancing, pampering, entertainment . . . are we forgetting something? Oh, right, there’s also gambling. What better way to prepare the bride for the biggest gamble of all than by placing a couple of bets at the roulette table? 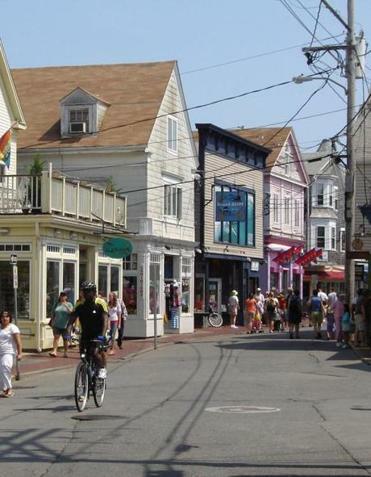 Soak up the sights on Commercial Street in Provincetown. At the outermost tip of Cape Cod, Provincetown is a summer getaway long revered for its beauty, history, and charm. It’s also a gay-friendly hot spot, brimming with people who have one goal in mind: having a good time. “It’s like one big, fun party,’’ said Amy Pischel, who was there in June to celebrate her friend’s impending nuptials. There’s drag karaoke at the Governor Bradford (312 Commercial St., 508-487-2781) and drag cabaret at the Crown & Anchor (247 Commercial St., 508-487-1430, www.onlyatthecrown.com) plus daily tea dances (outdoor afternoon dance parties) at the Boatslip (161 Commercial St., 508-487-1669, www.boatslipresort.com). There are also fabulous restaurants such as Cafe Heaven (199 Commercial St., 508-487-9639) for brunch or Jimmy’s Hideaway (179 Commercial St., 508-487-1011, wwwjimmyshideaway.com) for dinner, and of course seafood at the Lobster Pot (321 Commercial St., 508-487-0842, www.ptownlobsterpot.com) and John’s Footlong (309 Commercial St., 508-487-7434) for the biggest lobster roll you will ever eat. And because most of the great things to do in P-town happen on Commercial Street, everything is accessible and walker-friendly, with the party often spilling out onto the street at night. Retreat to the quiet Oliver Lodge in Meredith, N.H.
Planning a wedding can be a stressful process - not only for the people getting married, but also (sometimes) for the rest of the bridal party as well. 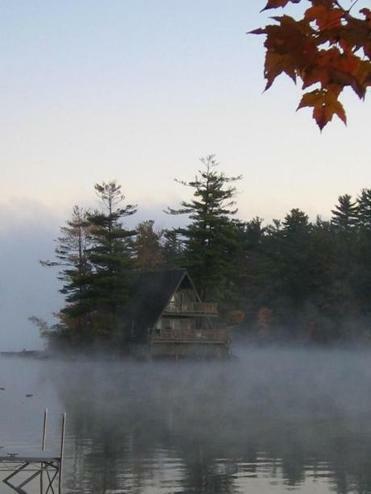 Escape to the woods and make like Henry David Thoreau by checking out of the rat race and disconnecting your phone at Oliver Lodge (92 Powers Road, Meredith, 603-387-3940, www.oliverlodge.com) on New Hampshire’s Lake Winnipesaukee. After a friend of Amanda Morrison was married there in August, Morrison thought it would be the perfect place to return to when it came time to plan a quiet getaway with some girlfriends. “It’s quality face-to-face time to decompress,’’ said Morrison, who is the maid of honor in another friend’s upcoming wedding. The beachfront property, which dates to 1906, has various cabins and rental options, ranging in size from an A-frame house that sleeps four to the spacious Main Lodge that can host 14. For fun, it’s all about being in the great outdoors and away from an Internet connection. There are kayaks and canoes to take out on the lake, exploring the islands, hiking and running trails, and tennis courts. For snow-loving brides, head north in the winter to ski or snowboard at Cranmore Mountain Resort (1 Skimobile Road, North Conway, N.H., 800-786-6754). At night there are fireworks, themed après-ski events, and live music acts at Zips Pub and Grill. If your quads need a break from all that skiing, hit up nearby North Conway Village for a bit of retail therapy. Stroll down Main Street to Zeb’s General Store (2675 White Mountain Highway, 603-356-9294, www.zebs.com) to peruse locally made maple syrup, specialty foods, and a room full of natural soaps, lotions, and soaks. The North Conway 5 and 10 Cent Store (2683 White Mountain Highway, 603-356-3953, northconway5and10.com), in operation for more than 70 years, will transport you to that simpler time of penny candy, homemade fudge, wind-up toys, and local souvenirs. At night, travel about 10 minutes up the road to the Red Parka Steakhouse & Pub (3 Station St., Glen, N.H., 603-383-4344, www.redparkapub.com) for live music most nights during the winter, lift ticket giveaways, and the true après-ski experience. If it’s summer, escape to one of the Bay State’s islands. On Nantucket - a place known for its cobblestone streets, lovely shops, and storied whaling history - catch a different side of the island by attending surf camp with your gal pals. Nantucket sUrfari (1 Essex Road, 508-228-1235, www.nantucketsurfari.com) offers hourly lessons on Ladies Beach, where you can learn to stand up on your board and catch a wave, how to predict swells, and even master the art of surfing photography. For a bit more time in the water, there’s also the option to do a three-hour tour, which includes transportation to and from the beach. Once you have had your fill of the ocean, take a tour of the island’s Cisco Brewers (5 Bartlett Farm Road, 508-325-5929, www.ciscobrewers.com) and sample some of their craft beers, like the Whale’s Tale Pale Ale and Sankaty Light Lager. The tours, which last about 90 minutes and can be set up ahead of time for private groups, also include a look at the onsite Nantucket Vineyard and Triple Eight Distillery. Hang around afterward to catch some live music by the rotating list of performers who drop by throughout the year. Nicola Cammorata can be reached ncammorata@boston.com.